The man was arrested yesterday. A man is due to appear in court today charged with a number of offences relating to a robbery at a retail premises. A PSNI spokesperson said: “Police have arrested and charged a 30-year-old man with robbery, false imprisonment and possession of a firearm with intent to cause fear of violence. “He is due to appear at Ballymena Magistrates’ Court today, Thursday, April 19. 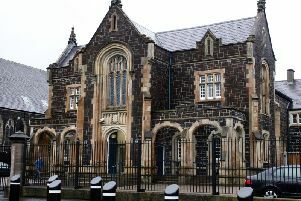 It is understood the charges follow the robbery of retail premises in the Carnlough area in July 2017 and a planned search of a property in Belfast yesterday, Wednesday, April 18.